The April release changes changes will find their way to Tranquility during an extended daily downtime today. The cluster will go offline as usual at 11:00 UTC, and will remain offline for an estimated 30 minutes while the patch is deployed. The full patch notes can be viewed here. The incoming patch includes publicised changes to Titans, Carriers and Supercarriers, Rorquals, and also a large group of subcapital ships. Remote Repair modules will see the diminishing return mechanic implemented, affecting Force Auxiliaries, Logistics Cruisers, Logistics Frigates, and any other remote repair support ship. Additionally, the next stage of War Declaration changes will be implemented, preventing players from providing assistance to others in High-Sec space, unless the player providing assistance and the player receiving assistance are in the same corporation or alliance. The incoming patch will also see the introduction of graphics updates for hanger visuals. 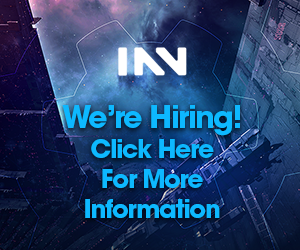 Players will see a new lighting system which focuses on a player’s active ship, in the first stage of a series of lighting updates shown at Evesterdam 2019. Other interesting patch updates include the monument honouring the journey of Katia Sae, and the renaming of a planet in the Yulai system. Katia Sae’s statue, to be set up in the Saisio system, celebrates the first player in the history of New Eden to visit every single available system in the cluster without a single lossmail, and is the first of its kind to be erected across the galaxy. Also, the Yulai IX ice planet is to be renamed Yulai IX ‘Kjarval’, in a lasting memorial to Sveinn “CCP Guard” Kjarval. Long live the Commander-In-Chief of the Space Police. Lastly, April 9 will see a change to the “Recruit A Friend” buddy system, where new accounts see rewards for creating an account via CCP’s player recruitment scheme. 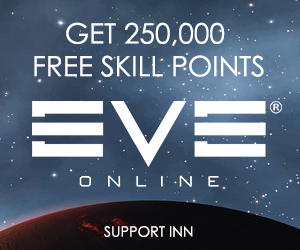 Any accounts created on or after this date via a recruitment link will receive a joining gift of 750,00 Skill Points. This is a 200% increase on previous rewards, and should help any newcomers to New Eden get those core skills in order!